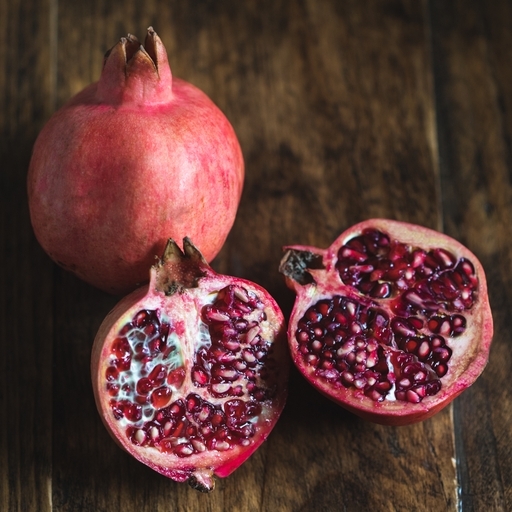 Split open to reveal their jewel-like crimson seeds, pomegranates may be the handsomest fruit of them all. Their sweet-sour seeds add glorious juicy crunch to fruit salads and savoury salads alike. Scatter them over cooked greens like chard or spinach, or punctuate the richness of a spiced lamb tagine. To take out the pulp and seeds, cut in half and spoon out the contents. To juice it, roll the fruit on a hard surface, then cut it in half, squeeze into a sieve and press with a wooden spoon.